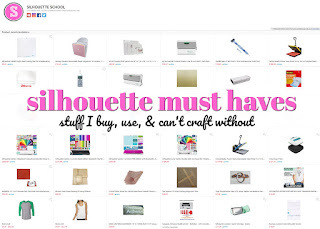 Silhouette Studio comes loaded with fonts, but most crafters want to add new fonts to Silhouette Studio. 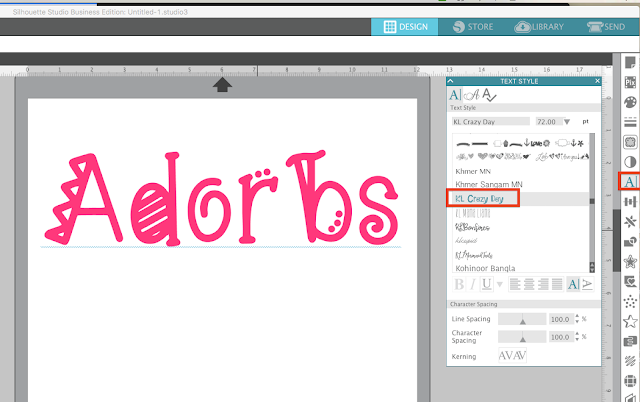 The process to add fonts to Silhouette Studio, from outside sources, is actually super easy. 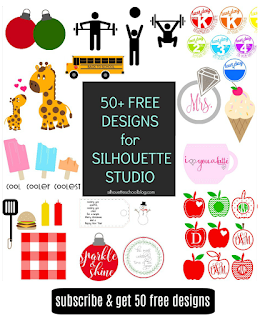 If you download or purchase a new font or a font bundle from somewhere outside of Silhouette Studio, those fonts won't show up in your Text Style list automatically like the fonts from the Silhouette Design Store. Instead there are a few easy steps you need to take to get the fonts to show up in Silhouette Studio. I'm working with a bunch of fonts that are part of the Fontsiest Font bundle. Once purchased, download the fonts onto your computer. 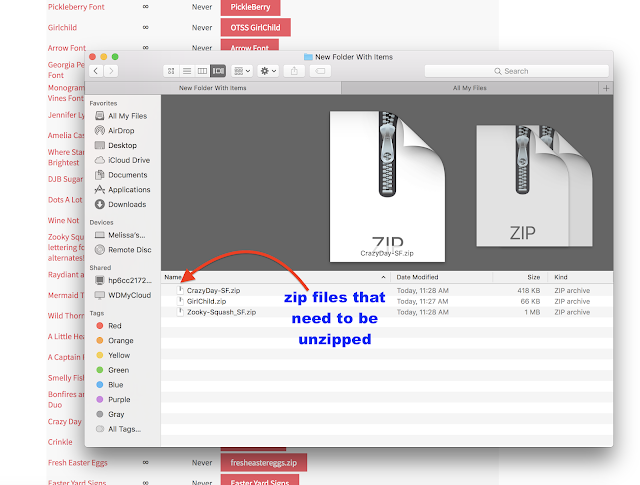 Locate the zip folder on your computer (likely in the Downloads folder). Fonts typically download as a zip file which will need to be unzipped. Double click the zip file to unzip it. A new folder with be created. 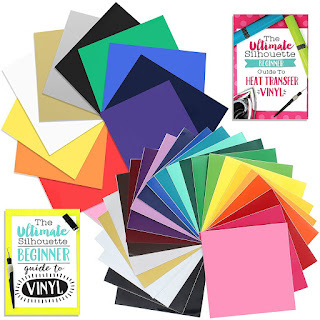 Inside you'll find the font file. 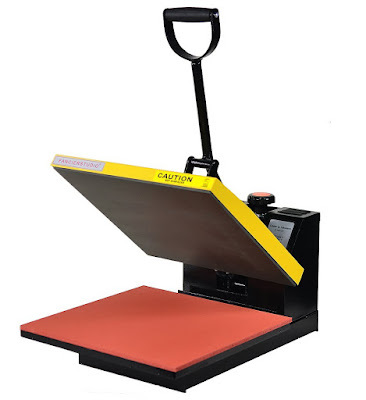 This is what you need to install the font on your computer. 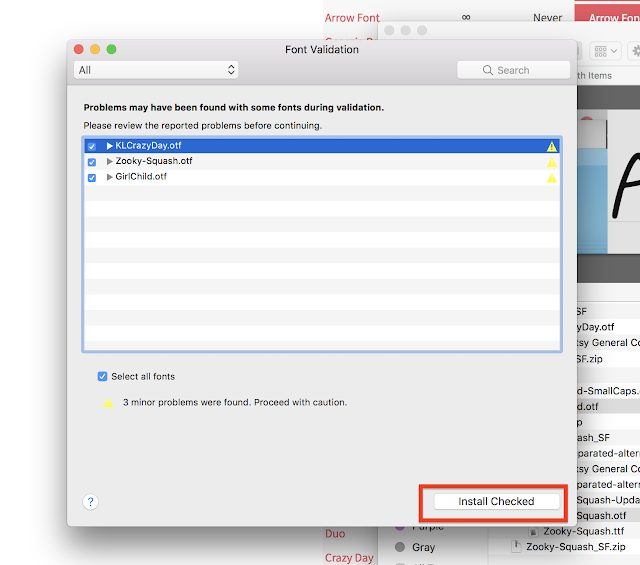 Font Book will ask you if you want to install and warn you if there are any concerns with the file. You can click to install all the fonts at once or do them individually. 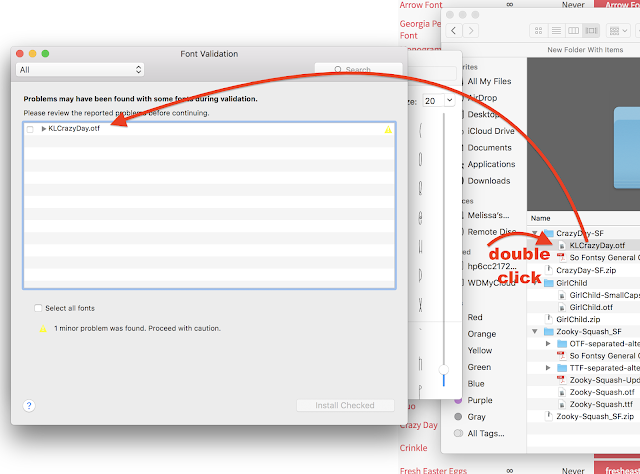 Once the font is successfully installed on your MAC it will appear in your Font Book list. 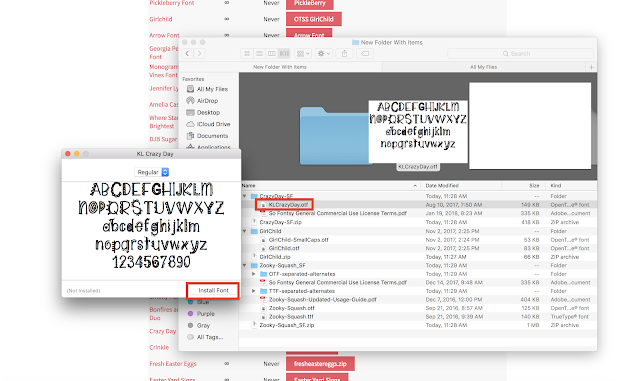 Unzip the file by double clicking it to access the font files. 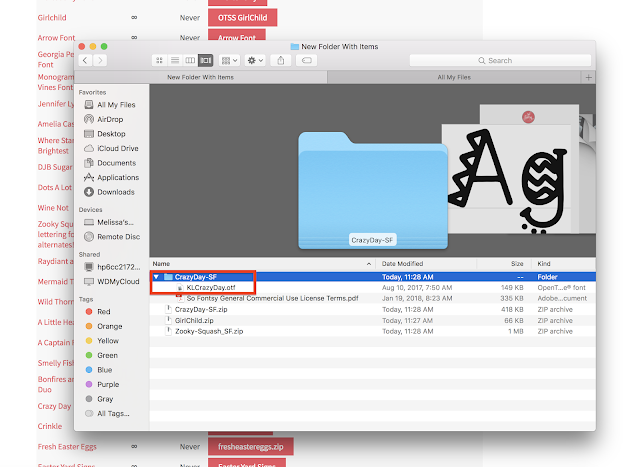 Find the OTS or TTS font file and open it. Then click "Install." Follow the on-screen prompts if you get any (I didn't) and then re-start Silhouette Studio. Your font will be listed in your font list. 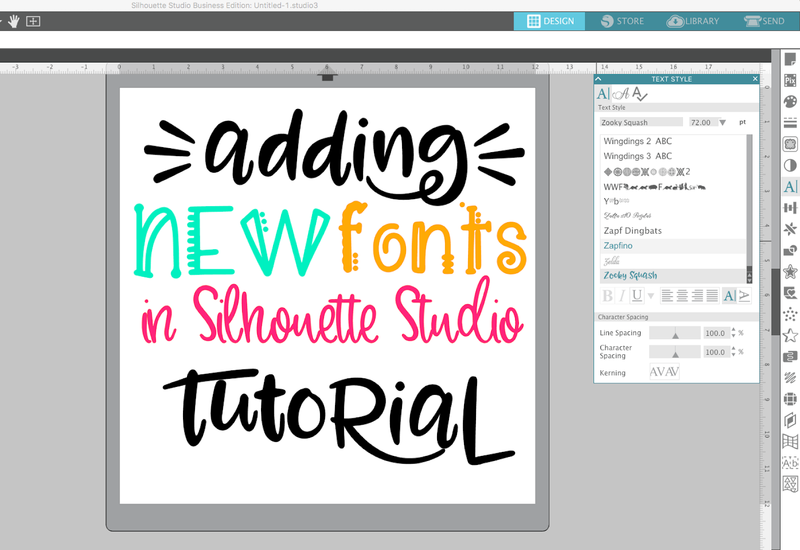 If you are adding several new fonts to Silhouette Studio at the same time, I would suggest you download and install them all before moving to this next step. 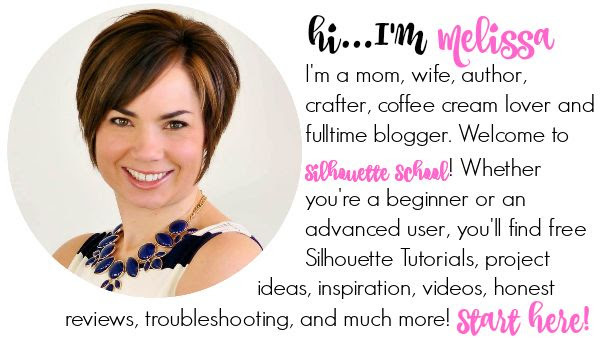 Once a font has been installed on the computer, you'll need to re-start Silhouette Studio. After that the newly installed fonts will appear in the Text Style list. 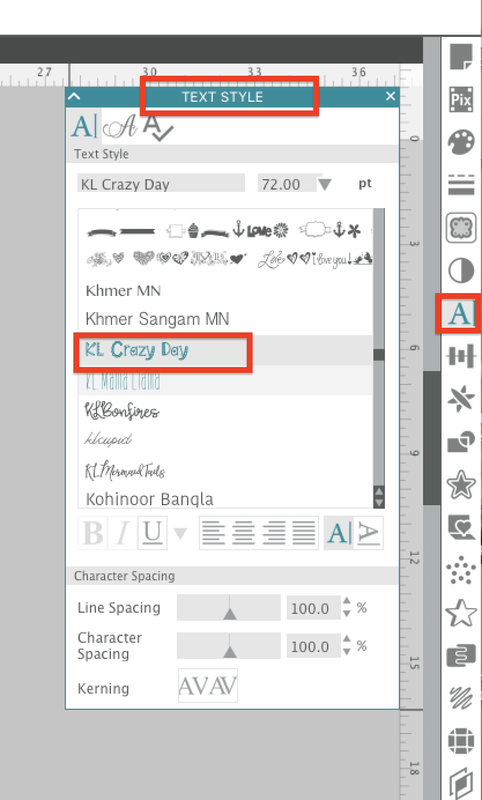 You can use these fonts in your Silhouette projects by opening a Text box through the Text tool on the left sidebar. 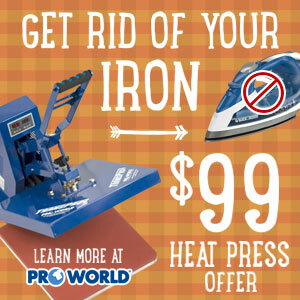 Type out your text. The text will be in the default font style until you change it. Open the Text Style panel on the right sidebar. 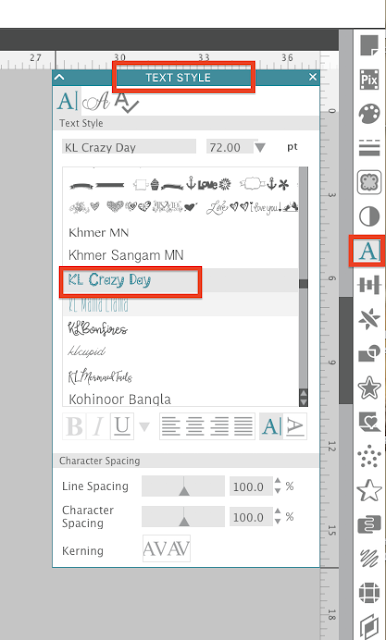 With your text selected in Silhouette Studio, scroll down your list of fonts or search for a font by name. Select it to change the font style. 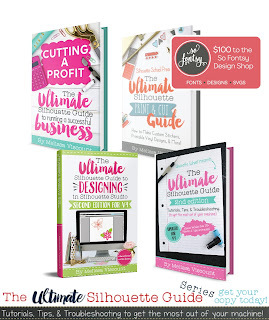 The Fontsiest Font Bundle from So Fontsy is a great way to grab a bunch of cut-friendly fonts all at once and at a huge savings. But you have to hurry - this bundle is only going to be around for another week or so!